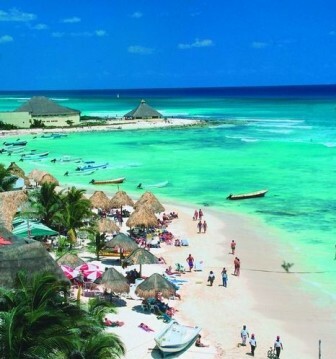 Playa Info - Playa del Carmen is one of the most well known beach cities in the Riviera Maya that has it all. Whether you plan on staying in Playa or just visiting for the great shopping and dining then you are in for a treat. Playa is basically the best beachfront city for shopping, partying, dining and experiencing a bit of the real Mexican culture. It is touristy as those are it's main visitors but they try to maintain an authentic Mexican experience as well. The Riviera Maya mostly consists of hotels, resorts and all inclusive resorts with only a few very small towns in between, except for Playa which is the most centrally located city in the Riviera Maya. Playa del Carmen is about 35 miles south of Cancun. This is a small town where you can either walk where you need to, ride a scooter around or drive your car if you prefer. If not staying in Playa, you can normally get a shuttle from your area hotel to transport you there. What kind of lodging is there? Playa info offers Your lodging options that include beachfront hotels, boutique hotels and all inclusive hotels. There is only so much beachfront in this city, so you will find that the majority of the hotels in Playa are actually a few blocks from the beach. They are all within walking distance have usually have beach club access. You can find a hotel for your price range since there are so many to choose from. You will experience a variety of foods while in this beautiful Caribbean town. If your in a hurry and need to grab something quick, there are lots of taco stands roadside to pick up one of your favorite carne tacos. There are also cute lunch places that offer competitive prices and add to the authentic Mexican feel. There are also plenty of upscale dining restaurants that line the famous 5th avenue. Many of the local hotels also offer top of the line restaurants for anyone to enjoy. Cuisines found in the area are Mayan cuisine, Italian, Thai, French, Mexican and Steak houses. Whatever your budget is, you can find something within that. It is worth it to splurge on at least one meal while there to enjoy a delicious upscale meal! Oh, and best of all, there are plenty of Oceanside restaurants and bars to choose from. Playa info has tons of activities to participate in. It is a great town to enjoy the night! 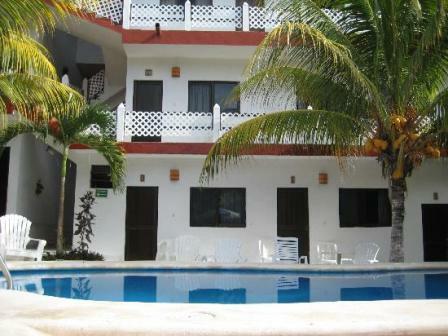 Check out some Playa del Carmen Pictures that show activities, the beach and life in Playa. There are plenty of bars and restaurants open late, not to mention live music along the city streets as well as oceanfront. Playa is the city people come to in the Riviera Maya to stay up late and party, so there will be lots of late night fun here! 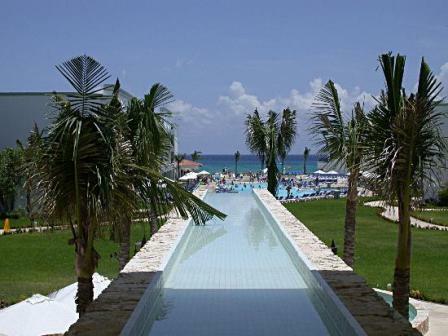 Daytime activities consist of swimming in the ocean, shopping, taking the ferry to Cozumel, and dining. Check out the weather here in Playa. If your wanting to Scuba Dive, then there are several dive shops only blocks from the ocean that you can go to and set up a time to snorkel or scuba dive. Are there grocery stores in Playa? Yes, there is a Walmart, Sams Club as well as Mexican grocery stores in Playa del Carmen. Burger King and a few other American food joints, pharmacies and just about anything you need. What is the best way to get to Playa if I'm not staying in the city? If your staying at a hotel in the Riviera Maya area then they will most likely offer shuttle service to Playa. If you are staying in a smaller boutique hotel you may need to arrange your own transportation. If you do, there are several easy solutions. You can rent a car and they will bring the car to your hotel or find the nearest bus stop and take that into downtown Playa. It's not as hard as you think, it's quite simple actually. Playa info has all you need to enjoy your next Riviera Maya trip! Take a trip to the coolest city in the Riviera Maya and make unforgettable memories!